Given your love of birds (from blog post) check out https://freethoughtblogs.com/affinity/author/caine/ …. Nice bird pictures daily - and other stuff! Thank you! 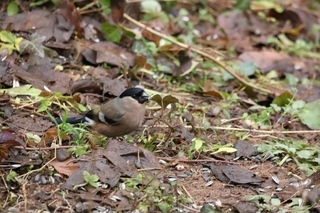 There are some great photos here; this recent one of a Lady Bullfinch by Giliell is among my favourites. The image is copyrighted, so including a lower resolution image for the purposes of review, please go to the source to see the full version. The FtB network is a beautiful, and increasingly necessary bastion of rationality online. I’d subscribed to their master feed in my old blog aggregator, but for some reason it didn’t survive the move to my self hosted TinyTinyRSS install. Resubscribed.